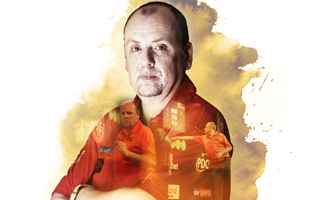 They say that life begins at 40....but in darting terms, for Ronny Huybrechts life began at the age of 47 when he took the plunge to join the PDC. From playing for fun, it became serious business and the Belgian ace has taken his chance as he claimed a place in the top 40 in the world in a fantastic whirlwind year. But no regrets.....often asked why he didn't take the plunge earlier, Ronny's answer is simple: "I was happy. It wasn't the right time but now it feels like it is, so I will enjoy every moment of it while it lasts!" 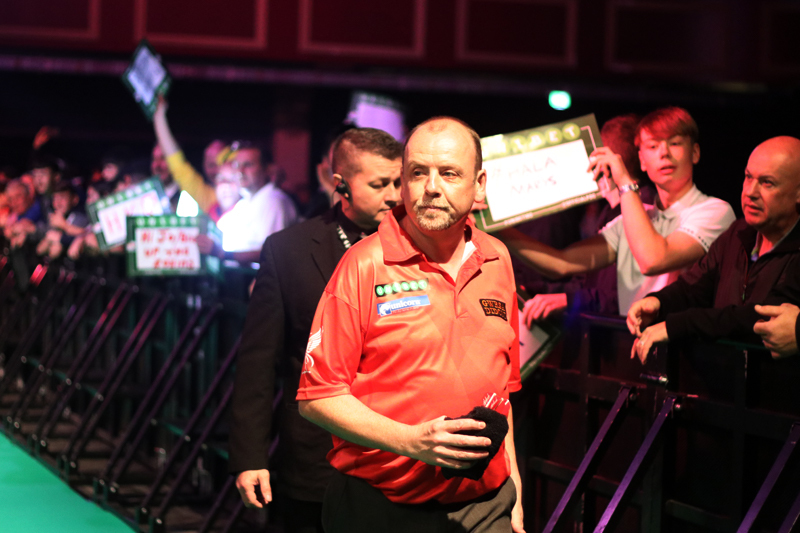 It has been a fantastic time for Huybrechts senior as he joined Team Unicorn with talented brother Kim to add to a growing list of darting achievements. He has beaten all the big names in the darts world. Individually, Ronny raced into the semi-finals of the European Championship in 2013, while he and brother Kim got to the final of the World Cup of Darts. And two high-profile clashes with Kim in the space of few weeks made Ronny a firm favourite with a smooth throwing style and a game capable of toppling the very best. He is also Kim's mentor following the sad passing of their father Ludo in December 2012. Ronny is now Kim's biggest fan and harshest critic! "He can achieve anything he wants in darts," Ronny revealed. "But he needs to work harder. He can be lazy especially when it comes to practicing. I have told him that if he works harder then he can be the best in the world. I truly believe that." But that's not to say there isn't a great rivalry when the pair are thrown together in competition. 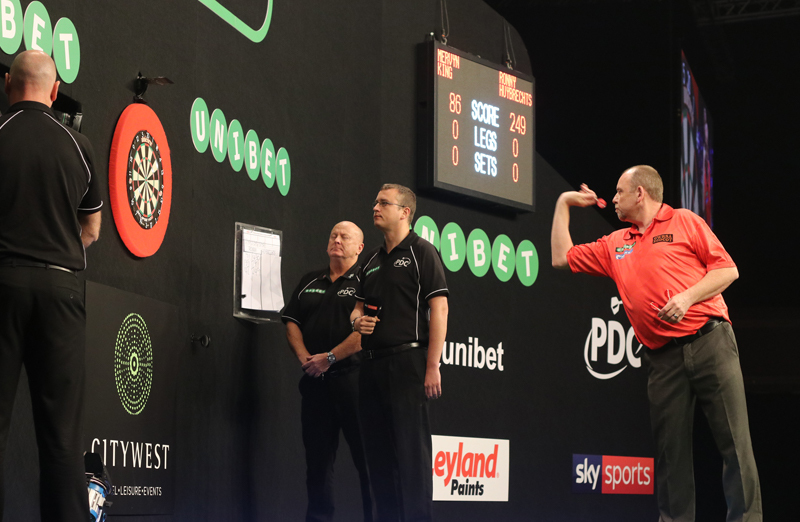 Their first big meeting came on the PDC Pro Tour in 2013 when Ronny thrashed Kim 6-1 with an average of 108 in the semi-finals of a Players Championship tournament in Wigan. Ronny lost the final to Robert Thornton, but yet again he had made his mark. The Belgian brothers then had two huge TV clashes.....at the 2013 Grand Slam of Darts, Ronny topped his group, winning all three games against Adrian Lewis, Christian Kist and Ritchie George. That set up a last 16 showdown with his brother.....Kim hit top form to win 10-5. Then incredibly they were drawn together in the 1st Round of the 2014 World Championship! It ended up being a case of what might have been for Ronny. He was cruising - a set up and in control of the second set.....but he missed five darts for a two sets advantage and it changed the game. Kim found his form and ended up winning 3-1. Ronny came very close to a first 'Major' TV final after just six months on the PDC Circuit.....in the summer of 2013 at the European Championship in Germany, Huybrechts reached the semi-finals. He famously dispatched Phil Taylor 10-5 in the 2nd Round before beating Robert Thornton 10-9 in the quarter-finals.....he eventually went down 11-7 to Simon Whitlock in the last four. 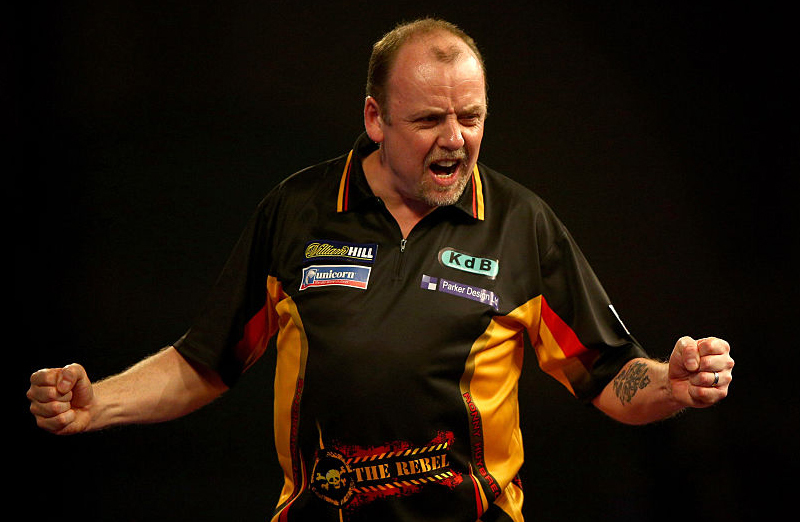 But it was yet another example of the talent that is Ronny Huybrechts....and remember in February 2013, along with brother Kim, Belgium reached the final of the World Cup of Darts - again in Germany - where they lost out to England. That performance earned Ronny his spot at the Grand Slam! But the Huybrechts' rewrote the sport's history books as they became the first set of brothers to play at the World Cup of Darts. The Belgian has also competed at the World Matchplay in Blackpool where he lost to Adrian Lewis. He suffered the same fate at the 2014 UK Open in a match he knows that he really should have won. At the last 32 stage Huybrechts was leading Lewis 7-3 but eventually lost 9-8 and of course, Lewis went on to win the tournament in Minehead! Life in the PDC really kicked off when Huybrechts won his Tour Card at Q School and he just hasn't looked back. It has been a remarkable rise for someone who is enjoying every minute in the twilight of his darting career. But Ronny reckons he has got at least another five years in him and maybe more! "I am just determined to enjoy myself and enjoy the rewards while I can! To be part of Team Unicorn at my age is very special for me. Long may it continue!" It all started back in 1984 when he was watching the BDO World Championship on TV in the family pub in Antwerp. He picked up a set of darts and started to enjoy the sport. It was more for fun back in the day as he played tournaments at home and in Holland and Belgium. He has won the Belgium National Championship three times. Married to Nancy, they have five children.....Ronny still works for a company in Belgium that distributes coffee machines worldwide, but it is in the world of darts where he is really making his name.